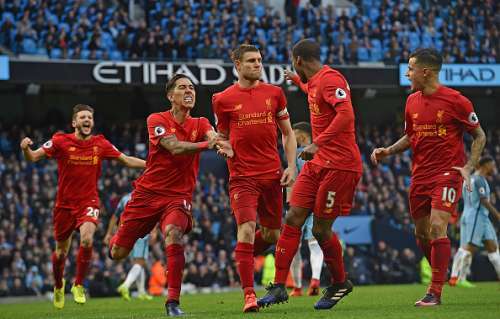 Manchester City hosted Liverpool at the Etihad in a clash between the third-placed City and fourth-placed Liverpool in the Premier League. With Chelsea on the way to win the league, the remaining teams in the top six are now engaged in a five-way battle for the final three spots in the top four that guarantees Champions League qualification. Liverpool opened the scoring in the second half through James Milner’s ice-cool penalty against his former club. However, City responded with Sergio Aguero scoring to equalise and the match ended in a draw with both teams missing sitters late on. Here are the 5 talking points from the match. Manchester City were guilty of not turning up until the 2nd half in their painful Champions League exit in the round of 16 at the hands of AS Monaco. If the Citizens were expected to carry on the dourness to this match, then they proved their doubters wrong as they started on the front-foot from the get go and constantly looked to threaten Liverpool, who once again were uninspired in the opening exchanges, similar to last week against Burnley. 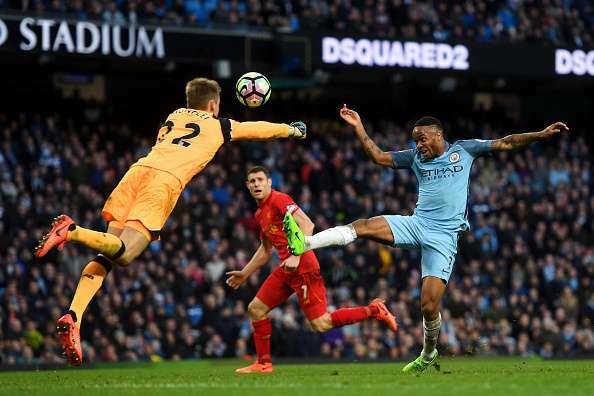 Former Manchester City player and Liverpool captain for the day, James Milner, was up for the battle from kick-off as his tussle with Raheem Sterling began right away. The Liverpool makeshift left-back did well to deal with Sterling, including a crucial clearance late into the 1st half off the English winger to prevent a sure-shot goal. Leroy Sane’s fine form continued as he troubled Nathaniel Clyne constantly and flashed a number of balls across the box only for the ball to either meet grass or a Liverpool player. City started positively, played slicker and looked the most likely of the two sides to score.